We've heard reports of Apple's iPhone 5 being compatible with 4G LTE networks before, but new information out of Korea points to the expected feature being a reality. According to the Korea Times, two of Korea's biggest mobile providers are currently negotiating with Apple for the iPhone 5 to be compatible with the country's 4G LTE network. Anonymous officials from SK Telecom and KT revealed the negotiations, and hope to come to an agreement with Apple very soon. An executive with KT is quoted by the Korea Times saying, "KT is in negotiation with Apple to persuade the latter to support KT's 1.8-gigahertz frequency in Korea for the upcoming iPhone." Apple including 4G LTE support in Korea isn't a given, as almost every country uses a different LTE frequency, meaning Apple must include different modems in iPhones around the world. Korea currently boasts more than 8 million 4G subscribers across all of its carriers, and that number is expected to double by the end of the year. SK Telecom is the leading service with some 4 million subscribers to its LTE network, while second place KT is home to nearly 1.5 million. An SK Telecom executive told the Korea Times, "If Apple's upcoming iPhone again fails to support LTE bandwidths, then this would be a very disappointing scenario as LTE is everywhere in Korea." The new iPad doesn't support 4G LTE in Korea, but it seems like it would be wise for Apple to include that support with the iPhone 5 based on the size of the market. 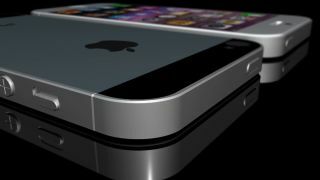 The latest rumors point to the iPhone 5 unveiling on September 12, so we won't have much longer to wait to find out just what Apple has planned.